1. Is Quakerism like Marmite? I believe that Quakerism is for everyone. Apparently this is a controversial thing to say amongst British Quakers, so I’d like to have a go at explaining what I mean by this, and why I believe it’s important. To put it another way, I think that to say ‘Quakerism isn’t for everybody’ is to treat Quakerism like Marmite. It’s to say that Quakerism not only has a particular flavour, but it is completely defined by that flavour. I don’t think Quakerism is about the surface level of taste, but the deeper level of nutrition. The important thing about Marmite in terms of our health as human beings is that it contains B12, a really important vitamin. Within this food analogy, to say that Quakerism isn’t for everyone is like saying ‘not everyone needs a healthy diet’. 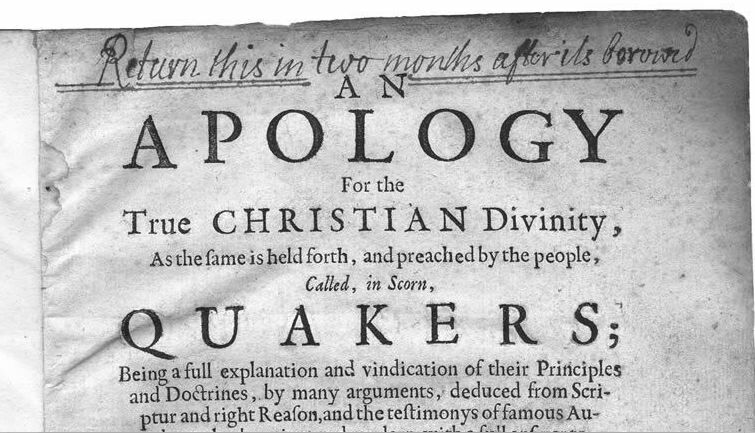 Earlier generations of Quakers distinguished between the ‘shadow’ and the ‘substance’. The shadow was an outward symbol, the substance was the inner spiritual reality. They saw the bread and wine of communion as shadows of the more real substance: inward communion with God. I believe that by treating Quakerism like Marmite, we are concerning ourselves more with the surface detail of how we do things, rather than the deeper invisible dimension of what Quakerism is about. When we focus on the substance, the deeper, nutritional value of Quakerism, we can say that ‘Quakerism is for everyone’ as well as saying ‘not everyone has to be a Quaker’. B12 is for everyone, but if you can get it without eating Marmite then that’s great too! If Quakerism isn’t for everyone, then how do we know who it’s for? What are the characteristics of those people suited to Quakerism? As I’ve written about before, what if these ‘Quaker characteristics’ have arisen, not from our spiritual experience, but from a culture dominated and shaped by the values of the white, middle class, intellectual and retired? So we could just say that, although Quakerism isn’t for everyone, who Quakerism is for remains a mystery. Then we have the problem of knowing whether we’re doing too much or too little outreach. If our numbers are declining, perhaps that’s just because there are no longer that many people that Quakerism appeals to. If Quakerism isn’t for everyone, and we don’t know who it’s for, then saying ‘we don’t need to do outreach, they’ll find us when they’re ready’ makes a lot more sense. Why waste time and effort telling people about something that is probably not for them? As long as we’re committed to Marmite Quakerism, doing outreach remains confused and directionless, and the cultural homogeny of British Quakerism will remain unchallenged. So what is the direction of Quakerism? Where is it going? Nutrition isn’t an end in itself; we need it in order to grow towards maturity. Theologians suggest that liberal Quakers are now more concerned with processes (ways of doing things – such as discernment) than with a sense of a final destination. I don’t have a problem with Quaker processes, I think they’re one of the great Quaker gifts to the world, but Quaker processes don’t count for anything if we cannot conceive of the possibility that the Spirit might ask us to change or do things differently. A feature of Marmite Quakerism is that its identity, its brand, is highly vulnerable. Change the flavour too much and you no longer have Marmite, just brown goo. To tamper with what happens on a Sunday morning is a huge threat to Marmite Quaker identify, and so Marmite Quakerism is more concerned with acting out the steps of a process, than with where the process will lead us. One of the assumptions made about me by other Quakers is that, because I talk about my religious life with confidence, I must have no room for mystery. Just because I believe that Jesus rose from the dead doesn’t mean I know how it happened. Just because I believe in God doesn’t mean I can describe God as I can describe what I had for lunch. It’s not a choice between ‘knowing everything’ and ‘knowing nothing’. There are lots of levels of ‘not knowing’. So it is with teleology. The teleology of a murder mystery story is to find out ‘whodunit?’ The narrative of the story is driven by this quest to discover the murderer. We don’t know how Hercule Poirot will work it out, but we know that he will because he’s solved every other case before. My hope is in God, even though I don’t know what might happen to me in the next year, day or minute. I have confidence that Divine Love will accomplish all its purposes, even though I don’t know how it will come about. I base this hope on my own experience, the experience of my Quaker ancestors and the experiences recorded in Scripture. Hope is knowing the ending without knowing the rest of the book. ‘Faith is the assurance of things hoped for, the conviction of things not seen’ [Heb 11:1]. So teleology is about hope, knowing the destination without knowing the nature of the journey. If we are to journey to the New Jerusalem together, then we should expect travel to broaden our minds, we should expect to be changed. But a Marmite Quakerism that’s concerned with preserving its own distinctive flavour cannot change without becoming something completely different. It therefore also finds it difficult to account for previous developments in the Quaker tradition. So without history or future, without a teleology, and with a focus solely on preserving current shadows, this is a Quakerism that doesn’t corporately know why others should want it, or what sort of hope to offer a hope-starved world. I doubt that there is a meeting in Britain where Marmite Quakerism is embraced fully, but I come across the signs of it too often for comfort. It’s a sentiment that needs challenging at every turn. When I hear ‘Quakerism isn’t for everyone’ it’s the sound of British Quakerism digging its own grave.